Amy Winehouse performs at the V Festival 2008 at Hylands Park in Chelmsford, England in this file photo.LONDON — Amy Winehouse, the beehived soul-jazz diva whose self-destructive habits overshadowed a distinctive musical talent, was found dead Saturday in her London home, police said. She was 27. Winehouse’s rise was helped by her distinctive look — black beehive of hair, thickly lined cat eyes, girly tattoos — and her tart tongue. What a tragic waste. All that talent and no focus. What might have been? 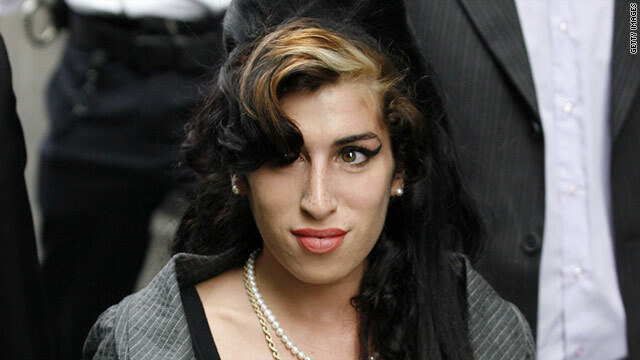 RIP Amy.